Pittsburgh, PA, April 16, 2018 — O’Brien Communications has launched a new episodic podcast called Shaping Opinion. The podcast features conversations between host Tim O’Brien and guests, where together they tell the stories of people, events and things that have shaped the way we think. The first five episodes have already been posted to podcast feeds, in addition to the ShapingOpinion.com web site. In the first episodes, Shaping Opinion shares the stories of a business meeting with Mister Rogers; the time Beech-Nut Packing hired PR pioneer Edward Bernays who in turn created America’s iconic bacon and eggs breakfast; some things you may not have heard about the time Prince decided to change his name to a symbol; the PR magic behind the Goodyear Blimp; and how the deaths of seven people after taking Tylenol in 1982 ushered in a new era for how companies and organizations respond to crises. Subjects may range from sometimes the well-known, to forgotten, little-known, or under-appreciated stories, but always, they represent change. A turning point that marked a significant shaping of the way we think. Shaping Opinion’s initial guests are: Mary Barber, Robin Teets, Elizabeth Flynn and Dan Keeney. O’Brien Communications’ Shaping Opinion podcast is available on iTunes, Stitcher, Google Play, Amazon Echo Dot, Radio Public, iHeart Radio, TuneIn and where you find your favorite podcasts. 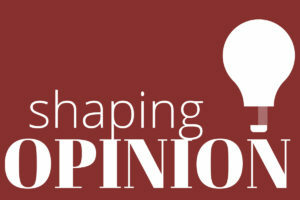 You can follow Shaping Opinion on Twitter @ShapingOpinion, on Facebook and on LinkedIn, and you can get Shaping Opinion in your inbox. Show note pages at ShapingOpinion.com include bonus content, links and detailed information on each episode. O'Brien Communications is a certified Small Diverse Business Enterprise (DBE).